Recently, Apple made a big deal about the 50 billionth download to come from the Apple App Store. The tech titan even gave away a $10,000 App Store Gift card and 500 who-came-oh-so-close-to-winning were given a $500 gift card. But overlooked in this whole promotion is something that is going on under the surface. 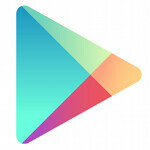 Within months, the Google Play Store will surpass the App Store in the total number of Apps downloaded. Thanks to the enormous success achieved by Samsung, Android devices are now scoring 500 million more downloads a month than iOS devices are. Android devices in the market total 900 million vs. 600 million iOS devices which means that Android downloads surpassing iOS downloads is a mathematical certainty. Each month Android devices download 2.5 billion apps as opposed to 2 billion for iOS. With the current lead Apple has, by October Android should over take iOS in total downloads of apps. Where Android is hurting is in the number of flagship apps that remain on iOS only, or have more functionality then their Android version. Yes, Vine recently came to Android which is a big name scratched off the list. One app we've been waiting for on Android is YouTube Capture. This app allows users to upload video to Twitter, Google+, Facebook and YouTube all with one tab. Developed by Google, the app came to iOS first and an Android version is said to be in the works. Amazing success of the platform that is for sure. I must wonder though about getting those developers to move the candle and update the look and feel of their apps to something more modern, utilizing the most recent apis. One thing that can be said about iOS apps is that there are less apps which are either poor on the resolution or some ugly ui than Android. And as an avid Android user (wife using iOS), I understand this. That said, I would love to see more fire under developers butts to update their apps to the Holo UI. Your absolutely correct HOLO UI looks definitely modern I also wish to see more developers adapting holo design language. It will be beautiful. forget the article, you didn't even read the Heading. I love that 'limited' thingy next to your username! I've never noticed that by anyone's name before. What does that mean? I still don't get how the YouTube capture app came to iOS first. WTF?!? "Android" definitely a nice platform to use with enough apps.